MB6CL has now closed down. Please remember all D-Star links and gateways run a 3 minuite timeout. RPT1: MB6CL--B "note the -- is 2x spaces"
RPT2: MB6CL--G "note the -- is 2x spaces"
The -- represents two spaces You must also set a + or - duplex of 0.000mhz for it to work. If you would like MB6CL to default back to any other reflector just email me. I do understand that after being on the same reflector for a while you hear the same hams every day. First time on D Star ? Live in Essex ? MB6CL is set to monitor Reflector REF 030C. Here is a list of users in there now. You are able to un-link and re link MB6CL to any reflector or gateway you wish. 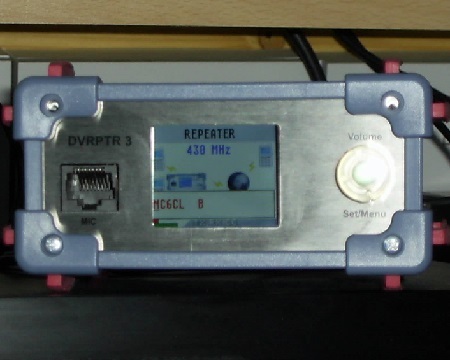 MB6CL D Star simplex gateway uses a Yaesu 7800 and is connected to a DVRPT V3 that is controlled by a Raspberry Pi that is running Jonathan Nailer G4KLX software. 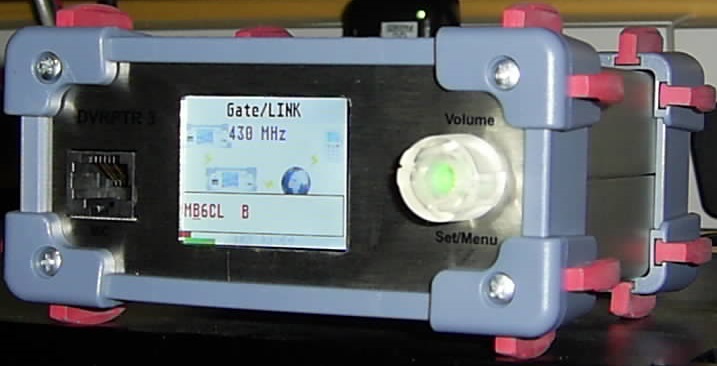 I have had a re think on the radios used on both my Echolink and D-Star gateways. I have now replaced both the Motorola GM300's with Yaesu 7800's I am able to set the TX power on these without the over heating problems I was getting setting the GM300's so low. 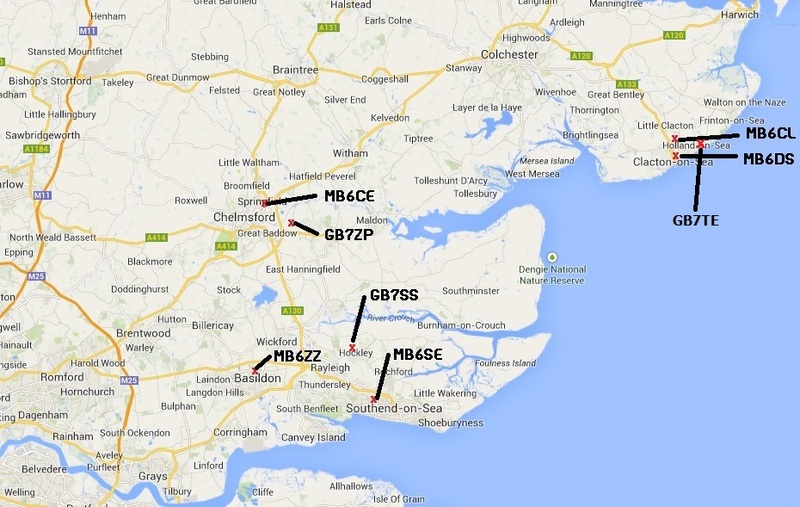 Where are the D Star gateways and repeater in Essex ? GB3TE has suffered interference for some time now and in the last 18 month it is showing under 3 hours total use. A application was put in to upgrade it to Dstar. A new callsign was issued GB7TE. The frequency will stay the same. RPT1: GB7TE--B "note the -- is 2x spaces"
RPT2: GB7TE--G "note the -- is 2x spaces"
The -- represents two spaces. Here is the coverage map. Click on map for XL size. 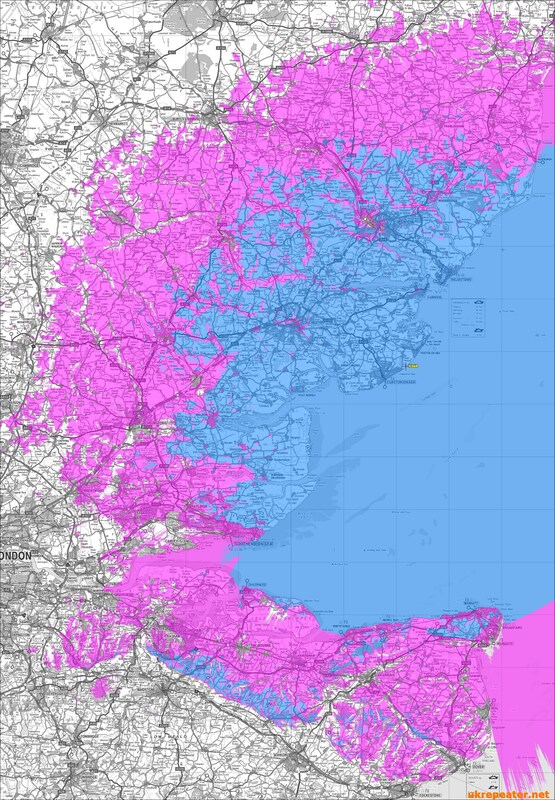 As you can see GB7TE will have good coverage from Ipswich down to Southend and over into Kent. 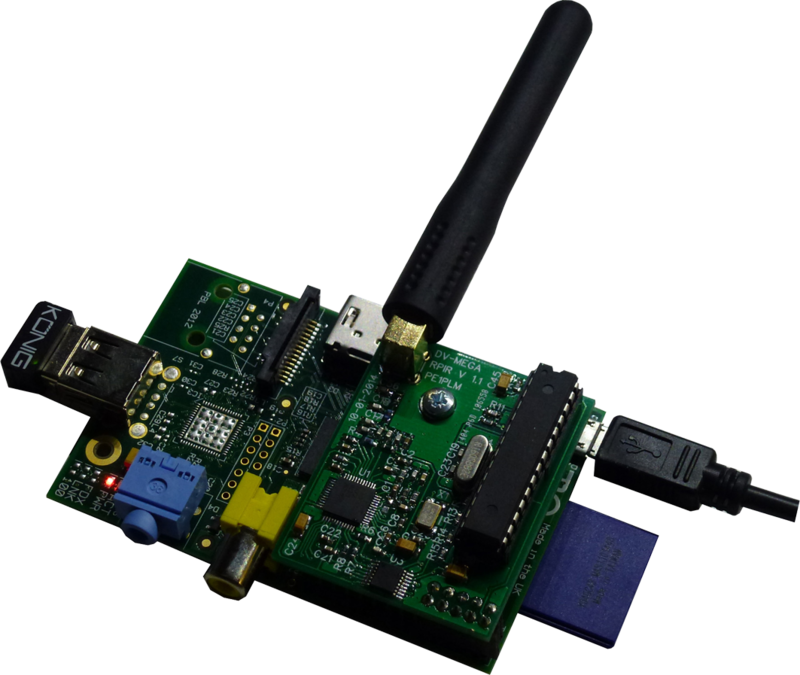 To see all simplex links in UK "Click here"
D-STAR Hot Spot is software for Windows that creates a D-STAR 'point of presence' (or hot spot) utilizing an analog radio and a GMSK node adapter. The hot spot creates RF access to the D-STAR network where none previously existed. 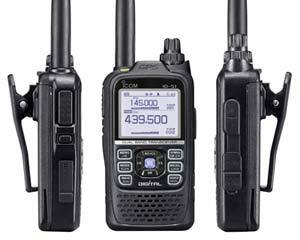 With a hot spot set up, you can use your D-STAR radio (IC-91AD, ID-92, etc.) 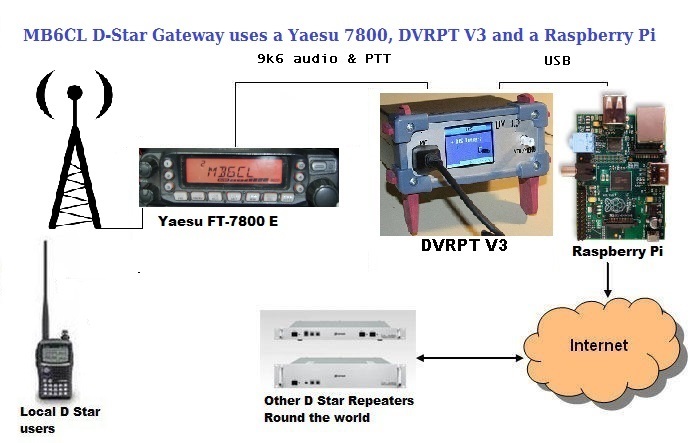 to listen to, and talk on, any DPlus equipped D-STAR repeater or reflector. Q: Do I need a DVDongle? Q: With a hot spot, can I access the D-STAR network with an analog radio? A: NO - You must use a D-STAR radio in digital voice mode with D-STAR hot spot. Q: Can I use D-STAR Hot Spot to link with Echolink or IRLP? N: NO - Hot Spot only works with D-STAR radios in digital voice mode. Q: Does callsign or slash routing with with D-STAR Hot Spot? N: NO - D-STAR Hot Spot talks to DPlus. Callsign and slash routing are not supported by DPlus. 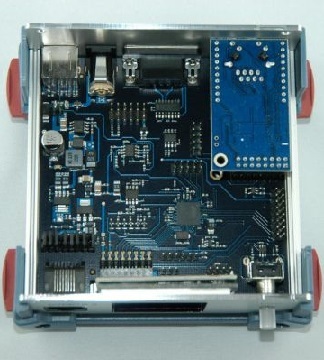 This access point would be simplex just like MB7ICL Echolink node but only for D-Star radio users and you would be able to connect to any linked D-Star repeater or reflector worldwide.